Our partners of the Universtity of Almería organized an informative day for the higher professional education students from Almería. 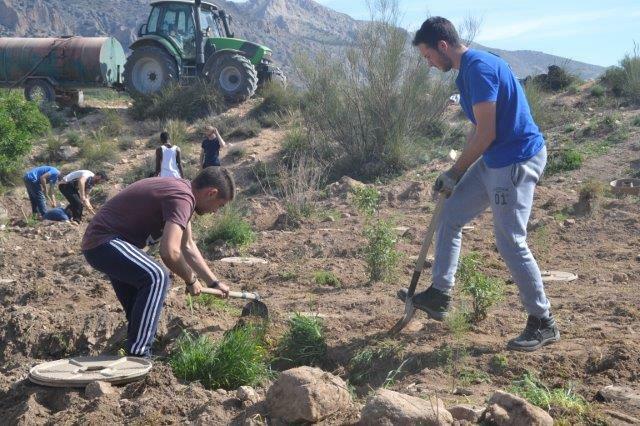 A group of students studying Forest and Environment Management and Use and Conservation of the Natural Environment, came together at the plantation site in Chirivel. During the meeting, the UAL-CAESCG technicians explained the students about the Life The Green Link project, and pointed out the its particularities and the environmental socio-economic benefits it will bring to the area. 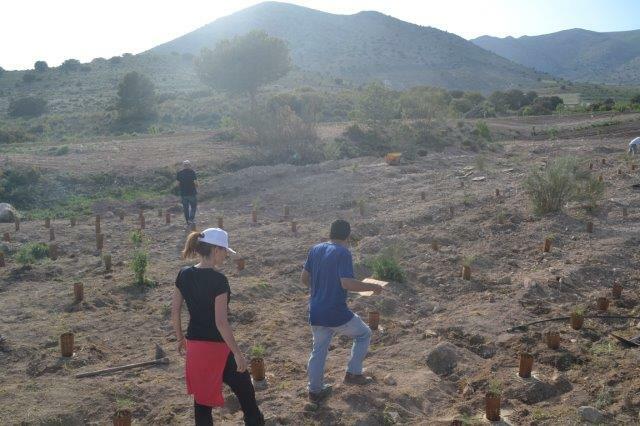 At the end of the day, the students took part in the plantation of 300 Tamarisks (Tamarix spp.) next to the almond tree plantation.